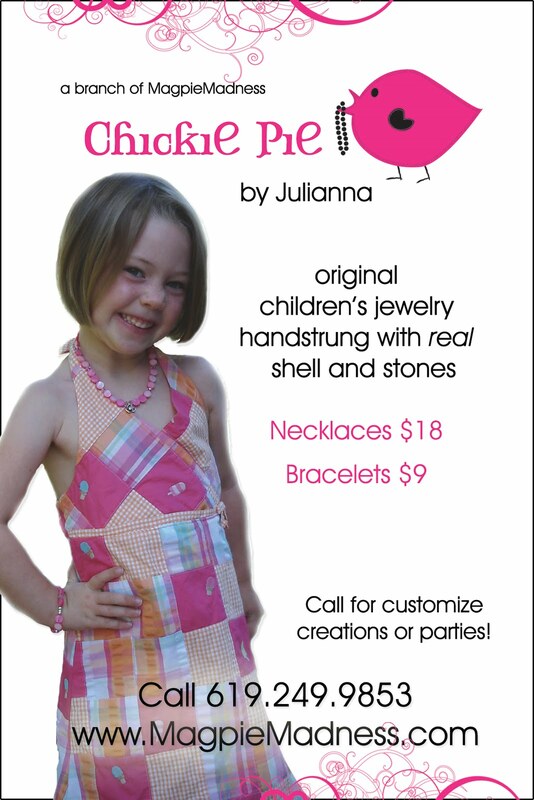 After weeks of creating and beading we are proud to present my daughter's freshly hatched jewelry line, ChickiePie. Isn't it darling? Julianna began beading in the spring and now I can't keep her busy enough. She LOVES it. "Can I bead, Mom?" 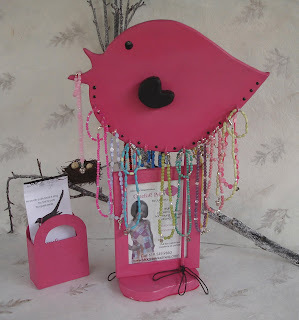 she twitters. So most days as big brother works at the school table, Julianna is perched in my studio stringing these fabulous creations. ChickiePie necklaces and bracelets are sold here from the studio or in Santee at CC's Hair Salon www.cchairsalon.com where Julianna and I both have our hair styled by the fabulous CC. Perfect for birthday presents and just-because gifts, these necklaces are approximately 14 inches long and designed to fit girls ages 3 to 8ish. Custom designs available.